Alumni of the Ons Dorp school may be in for a shock when they come round their former academy—the early 20th century brick school has been gutted and transformed into 10 beautiful and spacious apartments. Amsterdam-based design firm CASA Architecten converted the school into a contemporary gem perfect for family living. 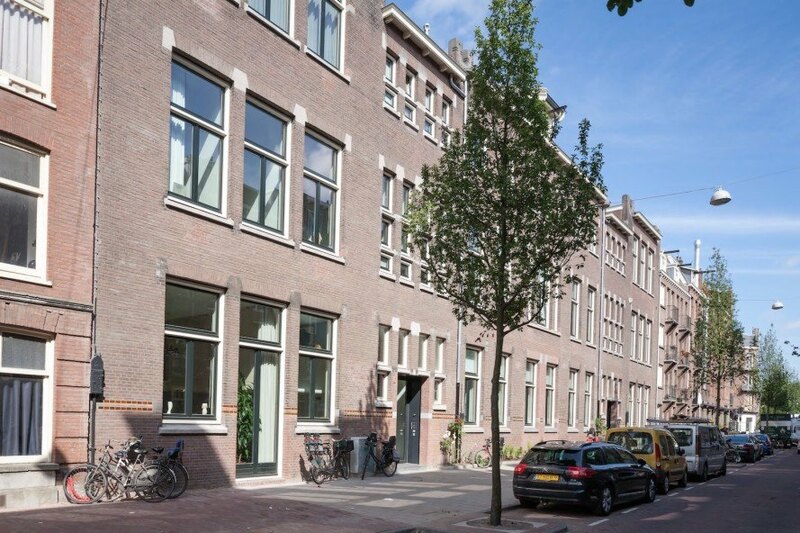 Located in Amsterdam’s Bellamy neighborhood, this adaptive reuse project is so stunning you may even start seeing your old school in a new light. Built in 1910, the brick-and-mortar school consists of three floors, each about 4.8 meters in height, two large staircases, and a courtyard in the back. CASA Architecten took advantage of the tall ceilings to create maisonettes, a kind of layout that divides the apartment into two floors connected by a staircase, filled with lots of natural light that pour through nearly full-height windows. Standard Studio redesigned a set of stairs, some cabinets, and offered direction on the new color palettes. The ten apartments vary in size and are between 100 and 150 square meters. Every apartment has access to the outdoors, whether in the shape of a garden, roof terrace, or balcony. In contrast to the brick facade, the interiors are designed with a modern and contemporary appearance. White and plywood surfaces reflect light and create a bright and warm character, while concrete flooring and steel staircases reference the school’s original aesthetic. In one apartment, the architects converted a teacher’s lounge into the bedroom, and transformed the classroom into the open-plan living space, dining room, and kitchen. 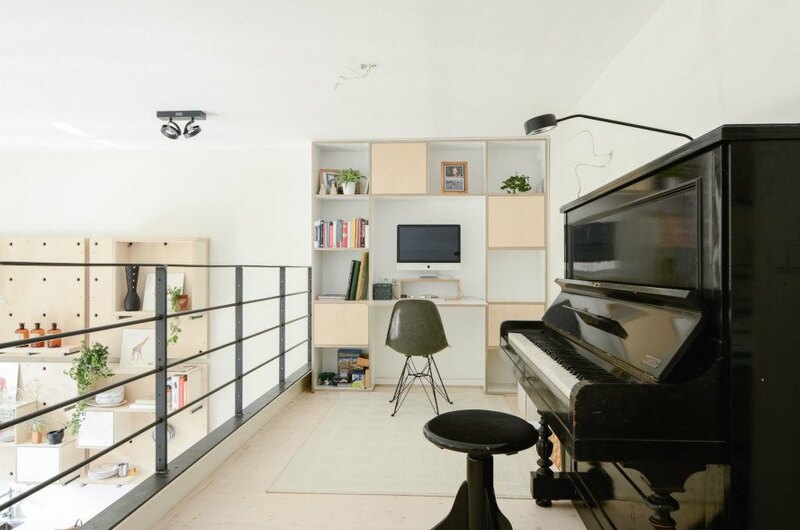 CASA Architecten took advantage of the tall ceilings to create maisonettes, a kind of layout that divides the apartment into two floors connected by a staircase, filled with lots of natural light that pour through nearly full-height windows. The ten apartments vary in size and are between 100 and 150 square meters. In contrast to the brick facade, the interiors are designed with a modern and contemporary appearance. White and plywood surfaces reflect light and create a bright and warm character, while concrete flooring and steel staircases reference the school’s original aesthetic. In one apartment, the architects converted a teacher’s lounge into the bedroom. The classroom was converted into the open-plan living space, dining room, and kitchen. Office on the upstairs level. Built in 1910, the brick-and-mortar school consists of three floors, each about 4.8 meters in height, two large staircases, and a courtyard in the back.